My church is going through Jeremiah at the moment—well, selected highlights, anyway. (Or should that be ‘selected lowlights’—Jeremiah’s not exactly a barrel of laughs, is he?) I preached today, and ’ere be my effort. Jeremiah—is it all doom and gloom with him? You’d certainly be forgiven for thinking so. Take this week’s passage for instance: first we have a message of judgement against the shepherds; and then we have another message of judgement, this time against the priests and especially the prophets. Clearly the Lord is not impressed with Judah’s leadership! But why? It’s quite easy to reduce the point to a single simple soundbite: If you’re a leader, don’t abuse your position or the people in your care. But behind the prophecies in this chapter lies a very particular situation—and knowing something about this situation gives us a little understanding about why the Lord is angry here, as well as giving us some glimpses of future hope beyond a dark present. So let’s have a little history lesson. Jehoiakim was one of the last rulers of the kingdom of Judah. He wasn’t an especially good king. He had a palace built for himself but underpaid the people, his own people, who worked on it. Jehoiakim also paid tribute to the king of Egypt, but taxed his people heavily to raise the money while living in the lap of luxury himself. 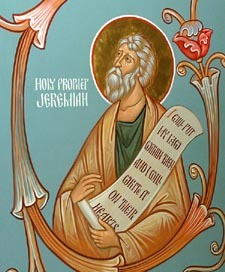 In 605 bc, the Lord called Jeremiah to write down all his prophecies on a scroll and have them delivered to Jehoiakim. The Lord’s intention was for the king to turn from his wicked ways on hearing the words. This one ain’t gonna get burnt none, is it, Lord? It’s this situation that lies behind the first two verses of today’s reading from Jeremiah 23. The shepherds are a metaphor for Judah’s kings, including Jehoiakim. The kings of Judah were meant to protect and care for the people, says the Lord; but as they had only taken care of themselves, so now the Lord will take care of them—once and for all! And the Lord’s judgement unfolded during the course of the next twenty years. First, the Babylonians laid siege to Jerusalem and deported all the skilled workers, leaving only a basic government and the poorest people; and then, in 587 bc, during the reign of Zedekiah, the last king of Judah, the Babylonians destroyed the temple and carried off most of the remaining inhabitants. Only a few people were left to work the land. The city of Jerusalem was wasted, the monarchy of Judah at an end. If this is what lies behind the first two verses of Jeremiah 23, what might lie behind the rest of today’s passage? Let’s jump to the prophets and priests, starting in verse eleven. ‘Both prophet and priest are ungodly,’ says the Lord. Not much else is said about the priests—but plenty is said about the prophets! Not only are the prophets ungodly, but they engage in immoral behaviour; they tell lies and perpetuate fake news; they are complicit in a system that exploits the disadvantaged and favours the privileged. And the prophecies they give are not true prophecies; they are nothing more than ‘visions of their own minds,’ says the Lord. But why is the Lord targeting the prophets like this? Kings we can understand; they were, after all, responsible for the wellbeing of the whole nation; but the prophets were just crazy old men with long, tangled beards who stood on street corners barking at passers-by, commanding them to repent—weren’t they? The truth is perhaps a little more unusual. In the kingdoms of Israel and Judah, there were literally hundreds of prophets, both men and women. Very often, a prophet would be part of a guild or a community, or possibly attached to the royal court or the temple in Jerusalem. The purpose of a prophet, of course, was to communicate the word of the Lord, but prophets did this in a number of ways. Prophets would help people, including kings, discern the will of the Lord. Prophets would also perform miracles; they would intercede or pray for others; they would heal people. And, generally speaking, prophets would receive payment for their services, a sort of stipend that allowed them to devote themselves to God. And so when in our passage today the Lord is speaking against the prophets, the Lord is not condemning the guilds of prophets as such, but the exploitation or the manipulation of this sort of set-up. The prophets here, it seems, were quite happy to assure the people of prosperity while continuing to receive payment. But the Lord had not given these prophets that message. They had not stood in the Lord’s presence to hear what he had to say to them. They were putting words into the mouth of the Lord; they were saying, ‘It shall be well with you’ and, ‘No calamity shall come upon you’, even though the Lord himself had said through the prophet Jeremiah that the end of Jerusalem was nigh. The prophets heard the people’s worries about the future—they probably had the same ones—and were quick to give them what they wanted: a message of peace. So notice, too, that the people themselves were not entirely blameless. Verse seventeen makes it clear that the prophets were prophesying falsely to people who wanted someone to kiss the hurts and make everything better. They had heard that the Lord intended to put an end to the city—but this was not a message they could bear. And so they paid the prophets whatever they could to assure them that everything would be okay—and this is exactly what the prophets did. They told the people that everything would be okay, even though they knew, and even though the people knew, that at least one prophet, the prophet Jeremiah, was telling them that judgement was coming. And the Lord’s judgement did come, in 587 bc, when Jerusalem was destroyed. So is it all doom and gloom with Jeremiah? Well, no—not all doom and gloom! It seems that with Jeremiah, a message of judgement is never too far away, but that’s because of the desperate times he lived in. But there are flashes of brightness in the darkness, glimpses of future hope beyond the impending devastation. Let’s turn back to the opening verses of Jeremiah 23. 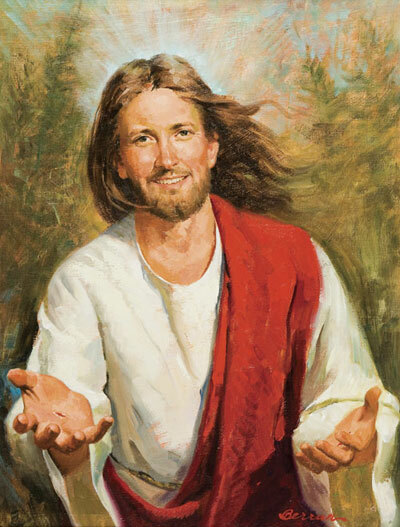 In verse two, we see that the Lord plans to scatter the shepherds who had not cared for the sheep; but in verse three, we see that the Lord eventually plans to bring his people back to the land—and more than this, that they will return and will prosper, all under the gaze of shepherds who will actually care for them. This is good news! Yes! It’s me and my golden locks! There is another promise, too: there shall also be ‘a righteous Branch’, a man who ‘shall reign as king and deal wisely, and shall execute justice and righteousness in the land.’ Under this king’s just and true leadership, the people ‘will live in safety’—so much so, that the freedom experienced under this king could only surpass the freedom experienced by the Israelites when they were freed from Egypt. This king is that good! I wonder if this reminds you of anyone . . . So what does all this have to do with us? Knowing a little bit more about sixth-century-bc politics and society in Jerusalem is all well and good, but how does it help us to live today in twenty-first-century-ad London? Well, the times we live in are not too dissimilar. I don’t want to force any like-for-like comparisons between now and then; it’s enough for me simply to point out that the present day is just as uncertain for us, politically and personally, as past days were for the people of Jerusalem. We can all do with some assurance that things will pan out alright. But the question is this: Where do we find this assurance? In whom do we place our trust? The ultimate answer, of course, is Jesus, the righteous Branch, the king who executes justice like no other monarch ever has or ever will. But trusting Jesus does not automatically make everything alright—not if by this we mean the clouds of uncertainty should part to allow the light of God to bathe us in its warmth. No, this is unrealistic. There could be and probably will be tough times ahead of us, even as the times we live in are already tough in many different ways. This doesn’t mean we shouldn’t ask God to guard us from all that harms and hurts, as today’s collect says; we’re not masochists. But there are still a couple of temptations to avoid, two sides of the same coin. The first is for us to tell people that everything will be okay when it might not be. Having faith in Jesus is not protection or immunity from this world with all its pain and suffering and uncertainty. We can’t avoid the cross any more than Jesus could. And the second temptation is for us to seek out others to tell us that everything will be okay. Again, everything might not be okay, and looking for someone to tell us the opposite when this might not be true is to place our trust in someone other than the crucified one. But as doom-and-gloomy as all this sounds, let’s not forget that the crucified one is also the risen one: our King Jesus! In our Gospel reading today, we see Jesus teaching in the rebuilt temple in Jerusalem during the Festival of Tabernacles. The Jewish leaders are concerned: Jesus is teaching without any appeal to his own teachers; in effect, he is like a false prophet, spouting, as Jeremiah 23 might say, ‘visions of his own mind, not from the mouth of the Lord.’ But Jesus isn’t like a false prophet at all because he learnt from the best; his teaching comes from God his Father, and he teaches in order to glorify him and not himself. And those who follow him—his disciples, the early Christians, and all of us here today who accept Jesus as Lord—know that he only tells the truth, even when the truth hurts. The God revealed in Jesus and by the Holy Spirit is the only one who truly knows the future—and this God is truly the only one who promises to be alongside us, loving us, no matter what the future brings. There are tough times ahead one way or another, as well as, I’m sure, some easier times. But whatever our future holds, let’s cling to the one who holds the future. Our God has promised us an eternity of resurrection peace and safety with the once-crucified, now-risen Jesus. This is our ultimate future hope; this is the good news we tell others in the dark times. And why? Because Jesus is alive and because he reigns with the Father in the unity of the Holy Spirit, one God, now and for ever. Amen. In case anyone is wondering, it irks me that I put the wrong passage in the title of this post! Or even the wrong reference! I still haven't woken up. content © Terry J. Wright. Awesome Inc. theme. Powered by Blogger.